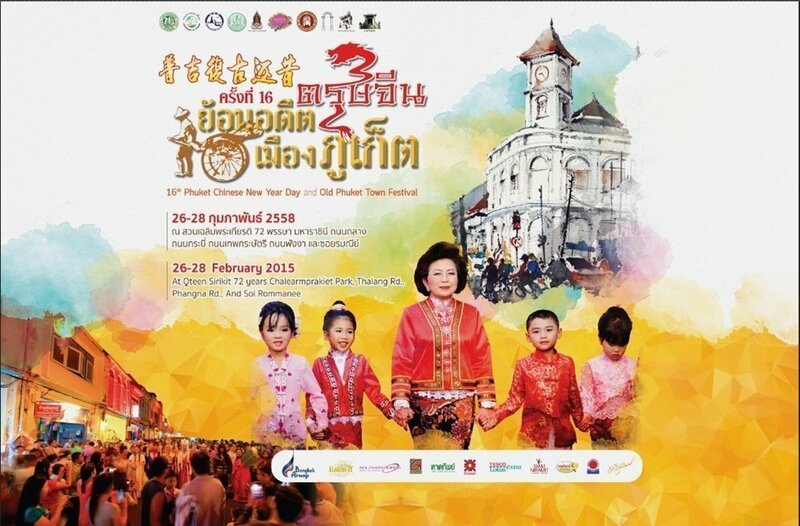 Celebrate Chinese New Year 2015, “Phuket Old Town Festival The 16th” the event was set on 26 – 28 February 2558 from 16:00 onwards at 72nd Anniversary Queen Sirikit Park. On the first day (26 February 2015) its held a grand opening as a parade which show off Phuket’s culture and Folk Art. And more for visitor is to join the worship of Guanyin and Sea Dragon, and watch the show from The Thu – Thai singer.